This kitchen has every thing you need for making dinner,breakfast or lunch. Unique queen bunk bed. The kids love this! Entrance to condo. Plenty of storage for gloves, hats and other things. 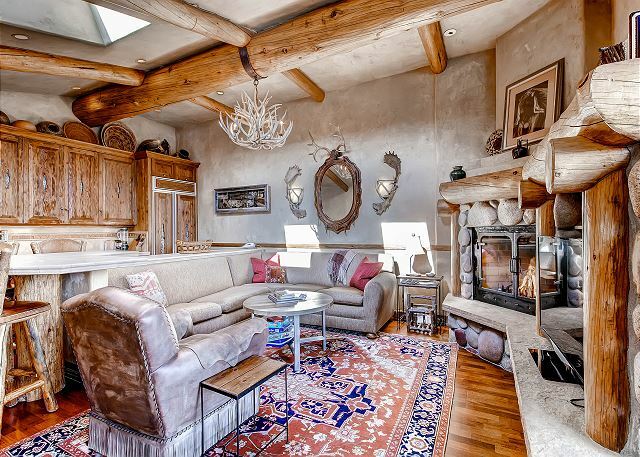 A truly premier condo with a western flair decor. There are ceiling windows that bring in wonderful light or gaze at the stars in the evening by the fireplace. 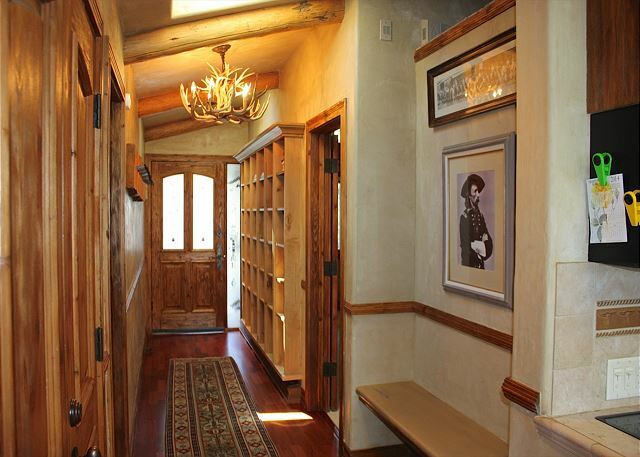 A beautiful rustic interior design throughout. Warm touches to make you feel right at home. 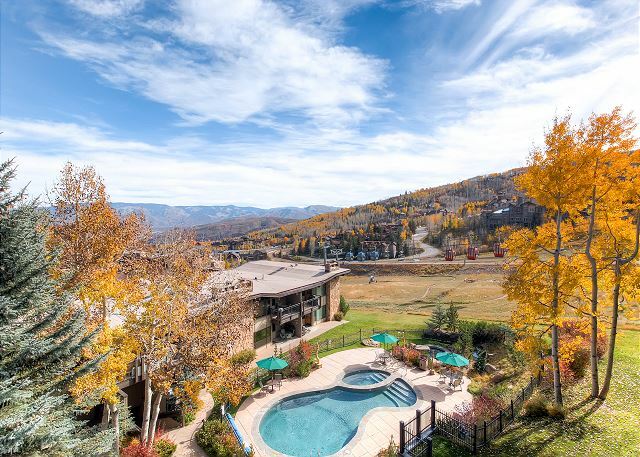 This condo is on the top floor with easy access to elevator and a stair case that puts you right on the slopes. 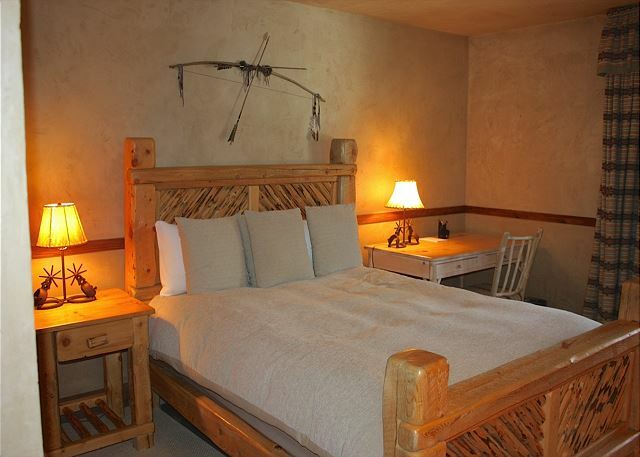 The master bedroom has an over sized king bed and its own private full bathroom. 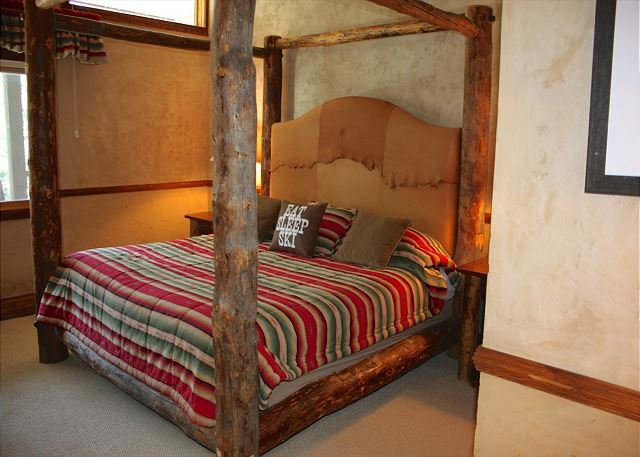 The second bedroom is large with a queen bed and a full bathroom. 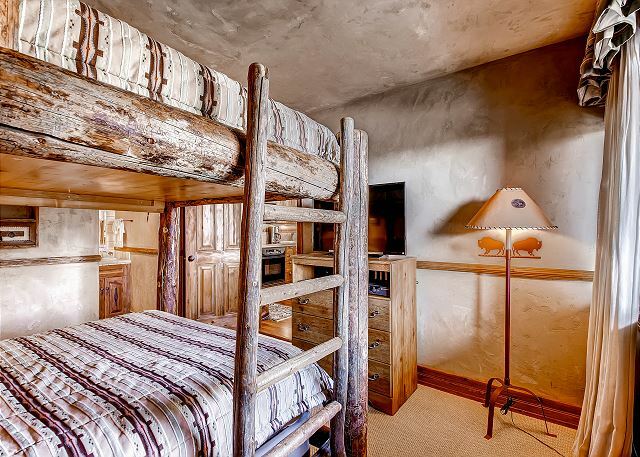 The third bedroom has a queen bunk bed. 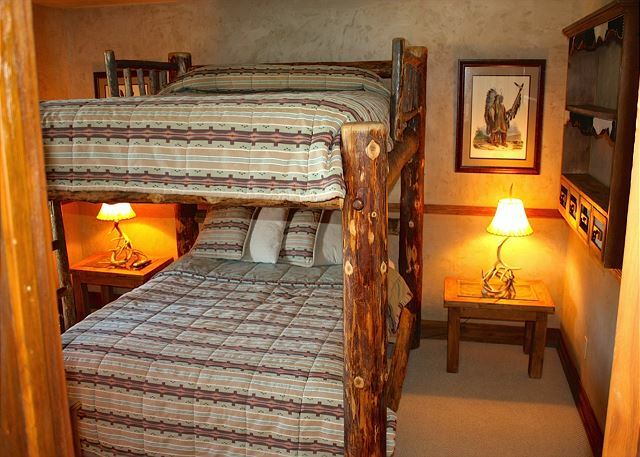 It can accommodate up to 4 adults or kids with 2 queen beds and a full bathroom inside the third bedroom. The kitchen is fully equipped with all your cooking needs. The living room has plenty of seating with sky windows and an awesome view of Fanny Hill and the panoramic view of the Continental Divide. The property has on-site staff that is very helpful and can assist you with all your vacation needs. Enjoy the phenomenal views from your balcony. 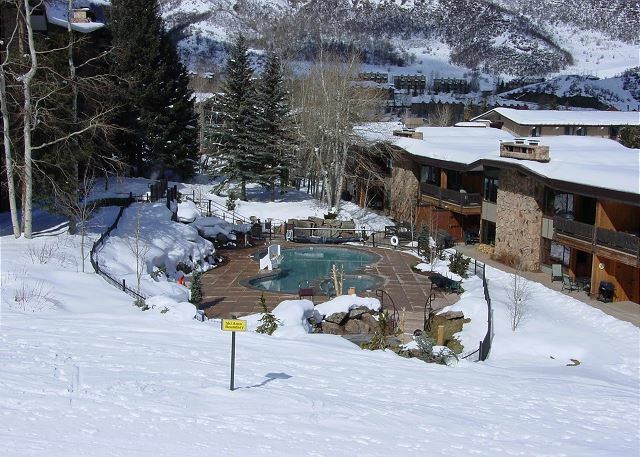 Relax in our court yard with 2 hot pools, a swimming pool, and room for the kids to build a snowman. You have your own covered parking space. Enjoy an on-site laundry facility. Shadowbrook Condos is a fabulous place to make some wonderful vacation memories. 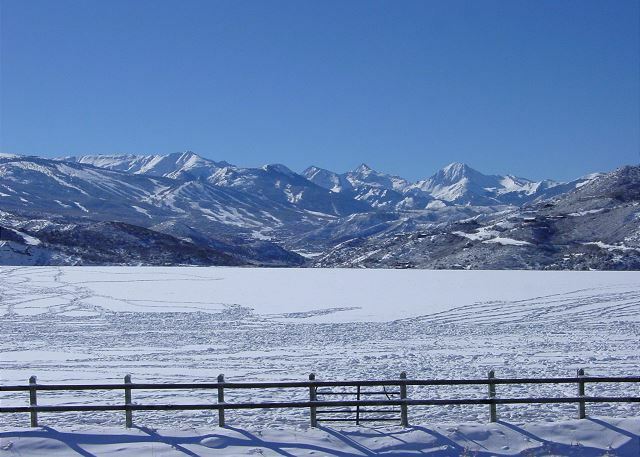 We are centrally located to Base Village and the Snowmass Mall. This is a very popular condo, so act fast! 1,200 square feet of comfort and views! Sleeps 8 people. Size 1,200 sq. ft. Can sleep up to 8 people. Hello and thank you so much for another nice review. We enjoy having the Dvorak's with us! How many years does this make? Thank you! This is 4 years in a row at Shadowbrook. Stayed for a full week in Sept - perfect location - which is why we keep coming back to Shadowbrook. This condo is beautifully decorated - does not feel like a rental, much more like a home. We truly appreciate the great review and having you as a repeat guest. 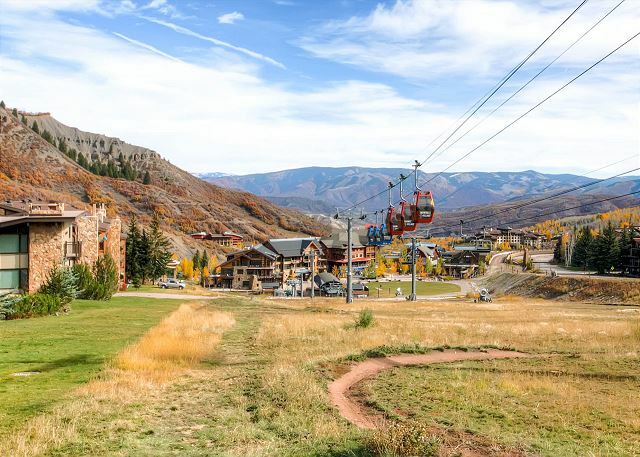 We look forward to having you stay with us for a 5th year in the fall which is one of the best times of year to visit Snowmass Village. Thank you! Amazing week over the 4th in Snowmass. Perfect location and the Shadowbrook team truly do whatever it takes to make a memorable experience. Can't wait to come back! Great location, friendly staff and cozy condo. Great spot! Just wonderfull. The place, the location and the confort!!! Great times and Great place! Three couples were celebrating our respective engagements. It was also JAS Fest that weekend. 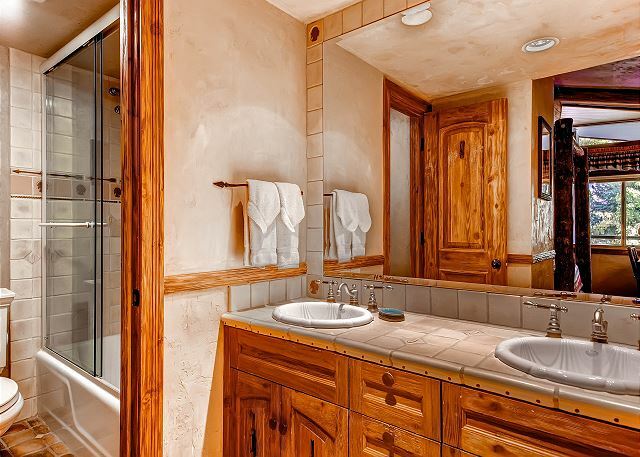 The condo was perfect, three nice bedrooms with their own bathrooms. There is free public transit that goes right by the condo. There is a mall and bars and restaurants right up the street and a grocery store near by. Nice pool and hot tubs. I would definitely stay again. Congrats to the couples! I am thrilled you all enjoyed Snowmass and the event. It is always a fun time Labor Day weekend. We are please you had the chance to check out our pool and hot tubs. We hope to see you again soon! Nice condo with good layout. Nice condo with plenty of room. Great location, lots of trails close by and close proximity to restaraunts and shops. Thank you for sending a review! It is nice to see you were able to get out and hike some of our trails in our valley. We hope to see you again in the future. The Ski vacation at the Shadowbrook this February was incredible.Skiing right to the lift,and being by the Snowmass mall for convenience was terrific.The hot tub at night along with the view was something to be remembered.Keith and Sue have been like family for many years.We will be back and looking forward to staying again at the Shadowbrook.Thank You! Great decor. Excellent location. Friendly and attentive staff. Highly recommend. A Beautiful Place To Stay! This condo could not have been more perfect! It was beautifully decorated and clean. The kids loved the pool and hot tub. 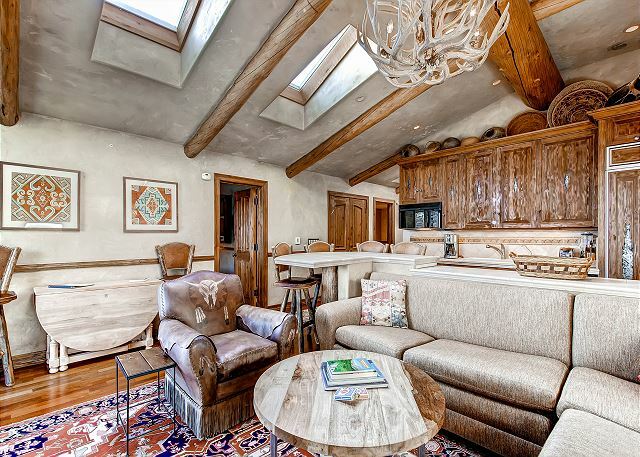 It had everything you could possibly need to stay in Snowmass Village, geat location. Everyone at Shadowbrook was very friendly. We will back next year! We came for the Tough Mudder in September. The condo was right at the entrance to the event. It was within an easy walk to restaurants and bars. The condo had all the amenities we could hope for. Cooked several meals for our large group of 8. Great views of the village and nice heated pool and hot tub.Couldn't have asked for a better place to stay. Loved the condo! Beautifully decorated and quiet location. The beds were very comfortable. I would highly recommend this property and plan to stay again. Beautiful rental, easily accessible to the lifts. Very clean inside as well as the outside grounds. Pool and hot tubs were amazing as well. Will be coming back again very soon.